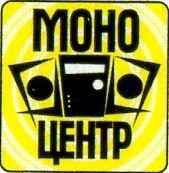 Моно Центр (Mono Center) is a label name used by Russian pirate company ООО "Моно Центр". Releases often have 'N CD 0120' printed on back cover, near the barcode. The barcode is '6 456489 431561' (6456489431561) on all or on most of releases. Releases under this label include Audio CDs and MP3 CD-ROM compilations.